Warhammer 40k NJ/NY | Uniting local NJ/NY gamers, one battle at a time. I know the page looks a little boring, but that is because our facebook page is getting all the love. Check it for more info. 40k – facebook.com/40knjny – First event, a set on Flickr. Gamers Gambit hosted our first partner event. Bill M. from NJ Gamer was a major guide / advisor, we couldn’t have done it without him. Thanks everyone who attended, the participants really make an event shine and this was no exception. 40k NJNY is working on our first event generously hosted by Gamers Gambit. When: 12noon-8pm Sunday Oct 23rd, please arrive early if you want help entering everything into Army Builder and printing it. What to bring: 500points to Unlimited points, everything except superheavies such as Titans, Apocalypse flyers, gargantuan creatures, etc. You are especially encouraged to bring models you’d normally be daft to include. You can bring every HQ in your codex if you want! Try to make it is WYSIWYG as possible however. As always, bring a print out of your list from Army Builder, your codex, and your armies. Who: Everyone is invited, newer players are especially encouraged this is a chance to check out all kinds of armies & bring EVERYTHING you want. For anyone new to the area, you can always find a good 40k game at Gamers Gambit on Sundays, many times there are 10-20 people that play. Armed Halberds, pew pew pew! Lately I’ve been posting mostly to Facebook, since it is pretty easy to do. I’ll admit you wont see the most meaningful articles there, but it is fun & easy. You can find the link to the site right here on the right. Grey Knights Dreadnought concept art, pure win. After the campaign was over at Time Warp Comics, I’ve been trying to go to Gamers Gambit on Thursday nights & Sundays when I have time. Mostly since they are one 0f the few places I know I’ll be able to get a game in as they have people there and many tables. Last week was a fun & rare treat: a team game with two brand new players, it was the first time they played 40k with their armies. My Dark Eldar teamed up with Mike’s Orks vs Bill M’s Saim Hann Eldar and Taylor’s Ultramarines. The lists were built for fun, so that is how it turned out. The result was a very close Eldar / Space Marine win. I haven’t played with a brand new player in a while now, hopefully we’ll see more of them. Recently I commissioned a local artist to build 6 Venoms, and I am looking for more people locally to speed things along. I also want to customize some Dark Eldar models (Beasts) and need someone who enjoys that kind of work. 40k Brazil, a set on Flickr. HERO (lkhero) discusses a fun topic: Can you build competitive and fluffy? If someone starts to take this question seriously, it is a tough pill to swallow… I wouldn’t welcome comments on the “fluffiness” of my Armies. Though I take great pride in making them fluffy. 5) Picking a purpose: How many points do I want to field? Will I be playing in tournaments? 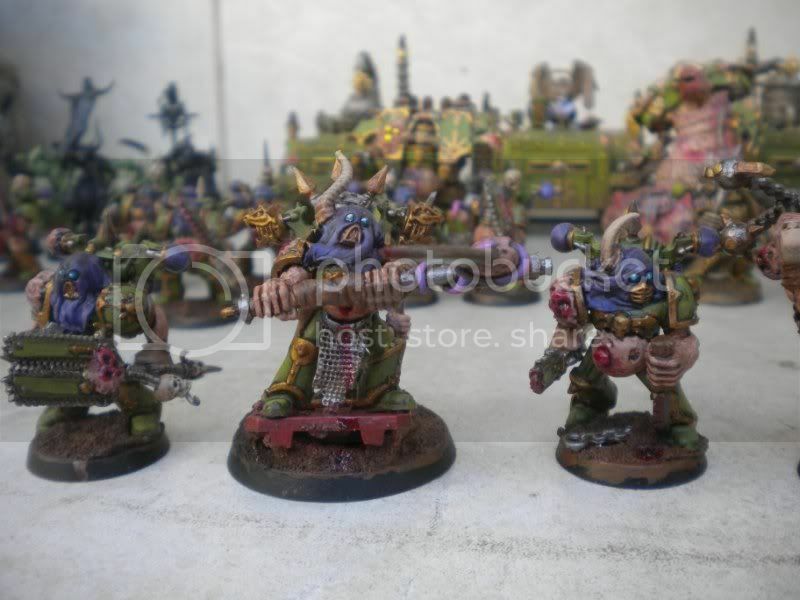 Tournaments that require painted models? Local, regional, or national tournaments? Am I only interested in casual games, team games? Is this my primary army, laid back, etc? Making all those aspects come together isnt really easy. Even if I picked a netlist and paid someone to make it, doesn’t really work: 6 months later something will change to make it less ideal (the meta-game, your play style, or something else will change). Whether HERO’s armies are fluffy or competitive or whatever isnt so much the question. As per my personal guide, his lists are a success. I would love to read a battle report like this EVERYDAY. This was a nail-bitingly fun read. New to 40k or this edition? So am I really, so dont look to me for any tactical advise. I’ve been enjoying reading some advise from Kirby’s 3++ site however. I will be buying the IA 9 & 10 books, thank you. After reading the books, I am a huge fan of Gaunt’s Ghosts. I hired someone to make a squad of them and scourged the internet for pics, but Dante’s Inferno is doing them great justice. BIO: 20+ years of gaming experience, member of “NJ Gamer”, knows many game systems. I’ve been to a few events he organized, he has a great knack for making Apoc events balanced and fun. blighted rock are long since obliterated. Yet why do some forces remain? best forces in an attempt to capture these hidden stores. Apocalypse Formations. Imperial Armour/Forgeworld forces allowed. Strategic Assets: One per player in addition to any granted by Formations. Reserves: As per Apocalyse, Strategic Reserves on turns two and three. These are some helpful cheats from Mr.Black at BOLS for anyone on a losing streak. Hypnotism seems the most assured. For those with real balls, but want a reminder on taking a loss with grace, take a gander at TKE’s post highlighted over at Kirby’s 3++. If you have not heard of Brandon Palmer, this might be the chance to sit back in the chair, relax , and let the eyes enjoy as you take a gander at the Orks that stole the show at Adepticon this year. Gamer’s Gambit held a tournament this past weekend, in which.. this is incredible: NECRON’s WON! Not only that, Necrons’ beat a list with 6 Vendettas, MSU, all vehicle list that had first turn advantage. Phil and Orlando, I was shocked and cracking up every time I had a chance to check things out. Note, for anyone interested in attending Gamer’s Gambit events you can always sign up for their email list, which is pretty active & helpful. Justin & Stephen also do commission work, if you are interested. I keep meaning to get their new site… I dont have it yet. BUT they are making me some wicked Eldar Saim-Hann Vypers, with magnetized guns & turrets. pew pew! I just want to thank all who came and wish you a peaceful and rewarding Holiday to start. And thanks to Jeff and Alex for help setting up- and Scott for hosting of course! I also just want to say, we have a great group of regular players who help us out all the time, and also play at the store every week! While some could not be there for the tournament today, they still supported others and came to check it all out, so, THANKS ALL! Not 1 single team won absolute victory in every game- every team had at least one draw or loss- most even tournament in GG history! Teams Tournaments are fun, but the turns DO take longer. We need to be able to start at 1 pm Sharp to get done by 9 or even earlier. Alex helped Nathan have a team-mate for the tourney- good times were had! Charlie Gomez brought his cousins from Long Island! (They got the dice- ’nuff said 🙂 Come back and play guys! if there was a sportsmanship award today, you would have won! After almost ten hours of gaming, the 14 brave players who came to the event were all in great spirits by the last round, and despite wading in a pool 1/8 inch deep that grew like the Taint of Chaos, kept up cheerful, good natured rounds of 40K. I have really been enjoying the Adepticon coverage this year, especially the LIVE championship game coverage thanks to my favorite current podcast: “The Independent Characters” (their review of the Badab War books – IA9, IA10 – will make you buy them). 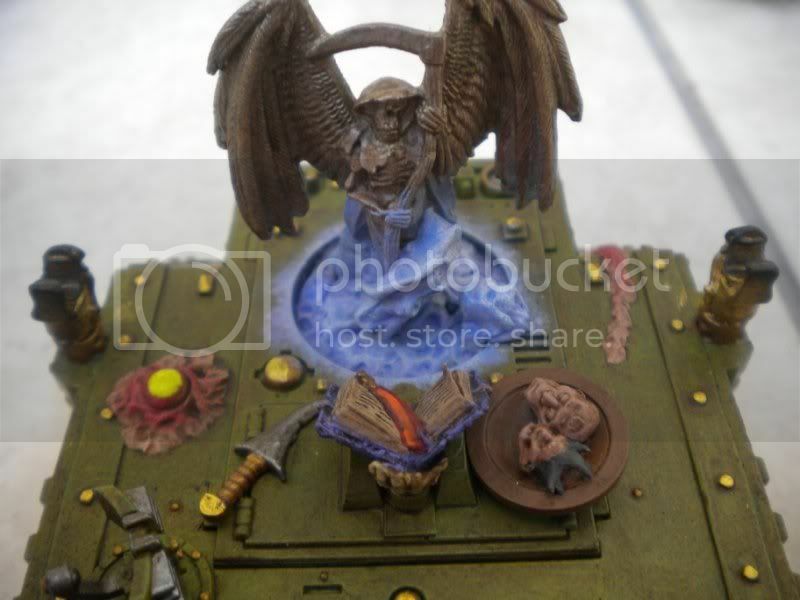 Campaign: Time Warp Comics, NJ – Blue Team (Dark Angels & Ork) defense! Time Warp Comics is running a fun campaign (Alex is leading it, but there are many contributors). It is always a relaxing fun time, with great scenarios. I make every game I can. Pictures of my second battle are here. We are able to hold back the Space Wolf (Red Team) attackers with the combined forces of Orks and Dark Angels. A quick battle report can be found under the picture captions. It was a close battle… every armor 14 vehicle exploded, in true siege style. …with one decorated exception Sammael’s land speeder survived. 40knjny in Brazil? Hell yeah! How did I find someone to play in Brazil? Well I am already a fan of Mixed Martial Arts, and Brazil has some of the best fighters in the world so there probably have to be some cool 40k gamers too. So I googled and found the site below and got a quick reply from Estevão at the “The Painting Frog” on players in Sao Paulo specifically. Silvio (Ork player), Sócrates <Ken> (another Ork player), Antonio Jorge <AJ> (dammit, ANOTHER Ork player & Nurgle Chaos Space Marines), and another Andre <Tocha> (Blood Angels, Tyranids & Deathwing). I’ve been able to meet everyone but Tocha so far in a fun dinner, and then we got a game in last Saturday. A very fun, very close game. Overall these local guys are a great mix of incredible modelers & painters, and enjoy fun and well played lists. It is a perfect match for my play style. I very much appreciate the paint work, when we see everything on the board. Example of some of the Modeling & Paint work by AJ, that is the original site in Portugese, or click here for a google translated version for english speakers.